And That’s The Way The Hair Falls Out…Er, The Cookie Crumbles. For those of you who might remember the woes of the Franken-Foot, I’ve got another update. For those of you who are unfamiliar, you can find the beginning of the story here. The gist is a rare, aggressive tumor grew in my foot. 4 inches long, 1.5 inches wide, 1.5 inches thick, and entangled in every tendon, vessel, and muscle in my foot. I’ve had 3 surgeries, spent many months on crutches, undergone MRIs and Xrays galore, and generally haven’t been able to walk properly since 2015. No surgery can be performed besides amputation. That was a tough one to take. No denying I cried over it. I spent time thinking about how to modify my shower, my house. My life. Then I remembered, veterans live it. Others are born needing artificial limbs. If they can live it, I can live it. So I accepted that, moved on, watched my foot worsen. By late last year, I could no longer grocery shop, make dinner and do dishes (one or the other, but not usually both). Carrying a laundry basket was sometimes more than I could handle. The pain in the my foot was so awful I spent a lot of time on pain pills and nerve blockers. I limped around Key West on my Christmas vacation, and was thankful for those pills and Mr. Alexander, who kindly drove me door to door. Also, thank you to Shipt, who delivered my groceries, and Lynne, a local Shipt shopper, who watched for my orders on Tuesdays, because she knew I couldn’t grocery shop. A year after being on an ineffective oral chemo and trying to get other kinds approved by insurance (note, there are no drugs for this type of tumor, so I have to look for compatible cancer drugs), we finally requested infusion chemo. The regimen would have been once per week for 52 weeks. Which, I reminded my wonderful nurse, was a year. She thought maybe 52 weeks would sound better, but we laughingly agreed, it really didn’t. I mean, ugh. Not just ugh, but double ugh. 365 days ugh. However, that insurance request kicked my case upstairs, and the oral chemo my doctor had wanted me to take last year was finally approved. Thank you, a thousand times, to my doctors, nurse, and insurance company! I’m already seeing some results. I can grocery shop, after months and months of not being able to walk for more than 10 or 15 minutes at a time. No more nerve blockers, hardly any pain pills, and what I do take is low dose. Orthotics and physical therapy have worked wonders. Of course, that is not conclusive. I need tests, labs, etc. etc. But I know what I know. I can walk. I even played catch with my son, because I could easily move to catch without running or jumping. Playing with my boy cannot be discounted, and neither can the joy it brought me! Now for the…um…not so fun part. My hair is falling out. Well, thinning, mostly. It doesn’t come out in chunks, but certainly in large portions. I can’t blow dry, brush it, pull it back—all of them result in more hair falling out. I have to wear it au natural, which is a lank, lazy, almost-curl. My eyebrows are sparse, and my eyelashes are sparser. Luckily, I can apply eyeliner and six coats of mascara, plus some mascara-type stuff for my eyebrows. I can hide those issues relatively easily. But I can’t hide my scalp, or the bald spot in the back that is getting balder. Why is it that hair seems so important? It’s just hair. Long, short, curly, thin, thick, straight. Red, brown, gold-blond, red-blond, deep black. So many of us have thinning hair, or we lose it due to health issues, medication, hormone changes. Maybe it’s hereditary. Maybe it’s alopecia. Maybe it’s pattern baldness. Those of us with thick hair want it to be thinner, those of us with curly would give anything for straight hair. It shouldn’t define us. We are more than our hair. More than our looks, for that matter. Worse for my guilt, somehow, is that my thinning hair is not as difficult to live with as full hair loss. So many others loose it all. More, they face not only more difficult chemo, but the potential for death. I only have to think about amputation–others confront the worst of all fears. Yet, here I am, spending entirely too much time each day checking to see if my hair is arranged over that spot in the back, where the cowlick reveals just how thin my hair now is. There’s a spot near my right temple, another on the left about halfway back, where you can see my scalp no matter how I arrange it. Still, on Saturday, I’m cutting it off. Pixie cut. It won’t solve the problem, and I may lose more yet, but the hope is a pixie will hide the spots where you can see my scalp. I’m a little nervous, a little excited. The decision was the hard part, but now that I have the appointment, I just want it done. I will be able to stop agonizing about it. Move forward. When it is over, I will come home to the most amazing husband who loves me. A child who will think I’m an awesome mom, even though I can’t play soccer anymore and my hair is shorter than his. We are more than what we appear, my dears. Often, we are stronger, braver, and smarter than we think. Sometimes it is hard to remember. Take some time today, and remind yourself just how special you are. So true. It’s hair…but it’s not just hair. Still, it could be worse, right? Thanks so much! For the thought and the hugs! 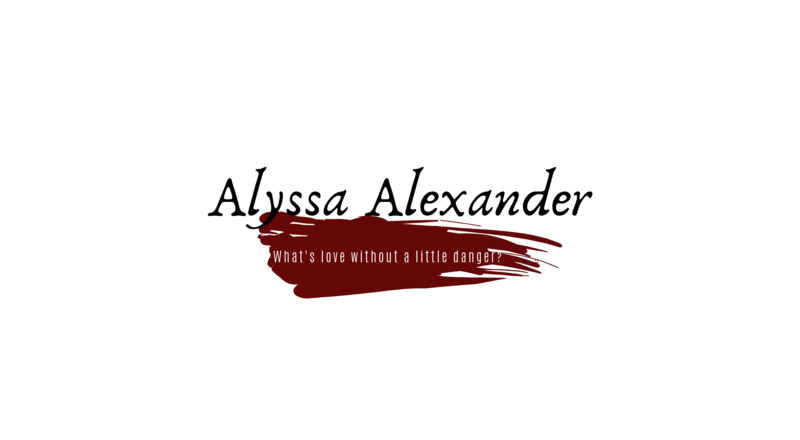 You are very loved, Alyssa. You’re a true friend, an inspiration and the bravest person I know – Hugs!!! Florence, that’s so sweet! Miss you bunches! You are so brave, so strong even in your weakness, and so honest, all of which I admire. I have no doubt that you’ll rock the short hair look. Who knows you may keep it! I’m hoping to keep some. From what I’ve read, it will thin, but perhaps not come out entirely. The pixie will be my disguise…When next we meet, you won’t recognize me! Hi Alyssa, big hugs from France. I didn’t know about the foot when we met 2 years ago at the Festival in Paris. So sorry for what you are going through. I know that my brother lost his hair and eyebrows when he had chemo at 26, and it really bothered him too, much more than he expected. Hope it grows back looking fantastic. Hey there, Bridget from across the sea! Good to “see” you! I was in the beginning stages of it in France. We didn’t know yet that it was a tumor, only that there was some swelling and pain. Now here I am… Why is it that the hair loss is so troublesome? Hope your brother is doing well! My brother is fine now. It was 18 years ago practically to the day that he started his chemo and it worked and got rid of his Hodgkins’ disease. Hurray. For hair, for women, it’s all wrapped up in our self-image and femininity, I guess. For my brother I think it was more about the fact that people could tell at a glance that he was having treatment, and men are not always confident about sharing? Alyssa, when I thought I might lose my hair, I felt as you do. I was lucky and didn’t need chemo so the hair is still there. I did start to lose my hair a couple years ago, but then I started taking Biotin with Keratin and the loss stopped and my hair grew back in. I have no idea if that would help in your situation, but you might give it a try. It’s an over the countersupplement. Also, I have two friends who have been wearing wigs for years. That’s always an option. Meanwhile, in my opinion, you ARE beautiful and will always be, hair or no hair. If not, I don’t think I’ll bother with a wig. Too hot, lol. 🙂 But if I do, my head is small. Maybe I can get a kids wig! All of our parts make up the whole of our being. Hair and feet and all in between, we use to identify ourselves. The loss of any of it, messes with the “wholeness” of our being. Don’t feel guilty, be proud of the great job you are doing with your day to day life. There is always someone who has it worse than we do, but that does not make our life any less challenging. Enjoy the good things, cry a bit for the bad things, and then get on with life. I think you do a great job of “getting on with life.” You are a great role model for you son and all those around you! I’m trying my darndest to get on with it! Hang in there, my dear friend. Sending lots of love and light your way as you continue this journey! There’s my Hootie! You won’t recognize me next time! Thank you, Kathy! Might as well try to have fun with it, no? You are special. You are loved. You are brave. You are in my prayers, too. You are a Brave Woman Warrior! Fight on, Beautiful! You have a support team behind you and you will totally rock a pixie cut! It’ll show the sassy in you! You truly are one of the most amazing women I know. Who else could talk me into writing 20,000 words just to become a treasurer?? No one but you, Babe! Stay Strong! Positive vibes coming your way! Love you and sending hugs. Prayers are ongoing my brave, beautiful friend! Thanks, Donna. Miss you at MMRWA! Hugs! I know that hair is just hair but it is still important to girls. You’ll rock the pixie cut! It is just hair….Until it’s not, right? Keeping my fingers crossed on the pixie! Oh, Alyssa, I had no idea you were going through this health ordeal. In fact, every time I see you you’re smiling and friendly and always asking how I am. What a testament to your grace and courage. I’m sending you hugs and love and good health wishes. I’m so happy you’re getting the chemo treatments and feeling better. I can imagine how odd it feels to be losing your hair. Please think of it as a temporary badge of honor, reminding you that you’re a warrior, a champion, and a woman of courage and grace. Because you are. Truthfully, I’m always happy to run across you, so aside from the pain, I’m much more interested in what you’ve been up to than my stupid foot! Thank you for all the good thoughts, Lori! Alyssa, I had no idea you were dealing with this. I totally get how hair doesn’t seem like it should be such a big deal, but it is. Can’t wait to see your cute new pixie cut! It feels so vain, but there it is, I suppose. Pixie cut commences today (Saturday) so pics shall be forthcoming! Oh, Alyssa, I will just be repeating much of what has been said above. But, you are a beautiful, intelligent and kind soul. I wish you didn’t have this stress in your life. You are loved by many! And you can always lean on your sisters at MMRWA. You are so amazing, strong and special. I admire your courage and your positive attitude. You are so much more than your hair. This is the poem. I believe it is how everyone feels who cares about you. The same look which she turned when he rose! That is beautiful, Jolana! Thank you so much for thinking of it! Stick a note on your computer (or some place where you’ll see it every day) that says: You are loved, you are special, you are amazing, you are strong. Because you are all of those. You’ve been through such a rough time. I used to grouse about my back pain, but seeing what you’re going through makes me grateful because it could be worse. You have so many friends and loved one supporting you. I’m glad you are getting help that works. Sending cyber hugs until I see you again and can give them in person. Oh, thank you, Diane. You’re a strong, strong lady yourself, so that means doubly much from you! I’ll be giving you a big hug when I see you! That is when the cancer became Real to her. That is when her very private struggle became very public. That is when people started treating her differently. It is a Very Big Deal. Don’t be ashamed to mourn. I am so very lucky that I only face amputation (not that that is easy either). It is true, though, that once the outward appearance changes, you can’t hide it anymore. I’ve switched to comfortable sneakers, with the occasional dress-up Converse–no cute shoes for me, anymore. But that’s been an easy change. This one…is harder. I think Michelle has a good point. So many wonderful messages here for you, Alyssa, and I say “Amen” to all of them. Why is it we can never see our own beauty? For you are beautiful, and it has absolutely nothing to do with your hair. I am sending hugs, prayers, positive energy, love and light to you my dear friend. Much love. So many messages, and so much love. I’m grateful for all of it! Thank you, Betty! So sorry about your foot problems Alyssa. I will continue to pray for you. Thank you, Nancy! For your thoughts and message! Alyssa, you are amazing! You have been through the fire, and your attitude is one that we all need to adopt whether we are ill or not! Many prayers will be said for you , many blessing upon you and your life struggles. This is the perfect time of year to have that pixie cut! Good luck with your recovery, I hope that the medical team is able to figure this out and take care of it fully. Thank you, Carol! I think it will be a long road ahead–very long–but you are so right. What could be better for summer than a pixie? Always a silver lining! I can’t add to what everyone here has already expressed, but you know you’re a treasured friend to me. You’ll always be beautiful because you have a sweet heart. I won’t say it’s only hair because for women especially it means so much to how we feel about ourselves. As I’ve gotten older my formally full dark eyebrows have disappeared and now the eyebrow pencil is my favorite and indispensable make up tool. It’s taken some practice to get it right. I think you’ll look very cute in your new hairstyle and I hope your foot continues to improve. Hang tight.